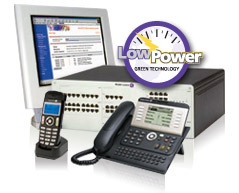 The Alcatel-Lucent OmniPCX Enterprise Communication Server (CS) is a highly scalable solution based on a pure software communications server platform that provides multimedia call processing for both Alcatel-Lucent and third-party clients/phones including TDM, IP and SIP. This rich call-handling application delivers world-class business telephony features for medium, large, and very large sized companies and offers a choice of either centralized or decentralized IP telephony solutions. 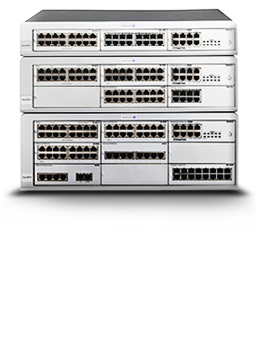 The Alcatel-Lucent OmniPCX Enterprise CS provides the building blocks for any IP and/or legacy communications solution, incorporating the latest Linux, XML, SIP, VXML technologies, and open standard practices such as QSIG, H.323, CSTA, and SIP. 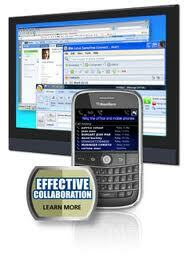 It offers broad scalability ranging from 10 to 100,000 users who can be spread across multiple geographical sites. 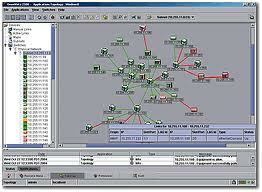 Plus, it offers highly reliable, real-time, carrier-grade performance solutions with an unmatched 99.999% uptime. 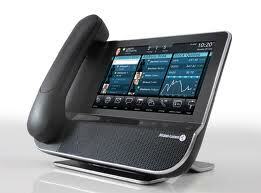 Alcatel-Lucent offers a wide array of phones for all business needs, including IP phones, digital phones, mobile handsets and attendant consoles. The Alcatel-Lucent OmniPCX Enterprise is managed by the Alcatel-Lucent OmniVista 4760 , an innovative, modular platform that provides a suite of network management applications. 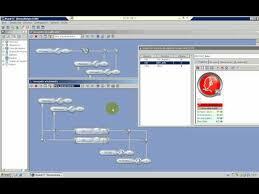 This powerful Java-based tool, accessed through a Web browser, provides centralized management for the Alcatel-Lucent OmniPCX Enterprise.